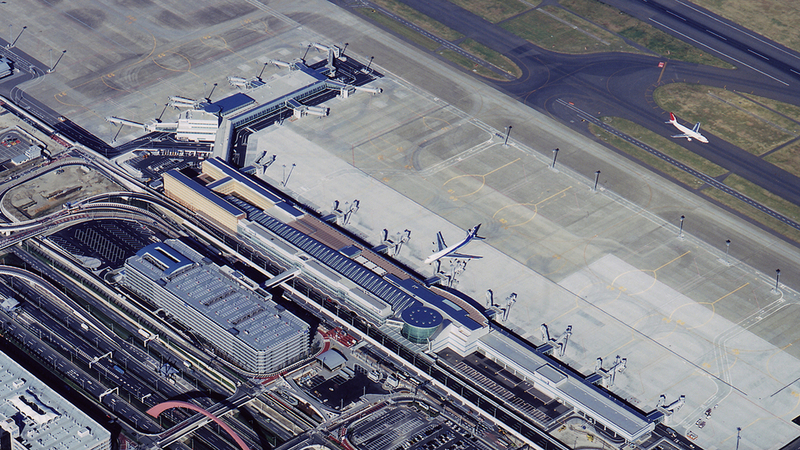 Completed by Pelli Clarke Pelli Architects in 2004, the Passenger Terminal 2 at Tokyo’s Haneda Airport is part of a massive expansion to make the airport the central hub of domestic air travel in Tokyo. 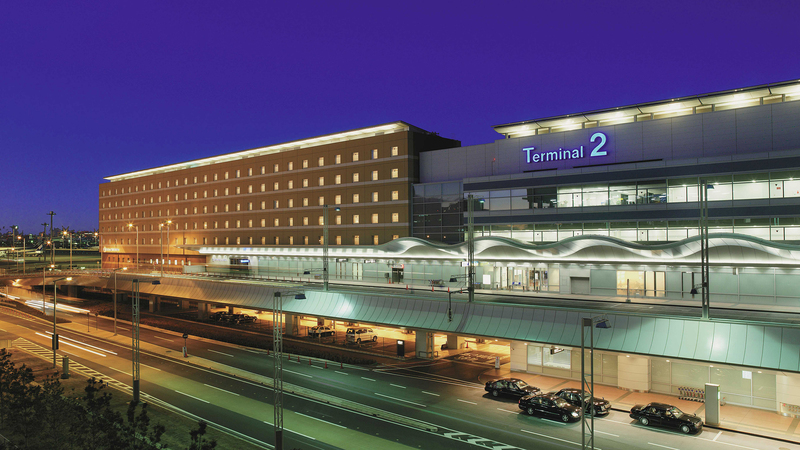 The new terminal encompasses nearly 2 million square feet and provides 15 contiguous airline boarding gates. 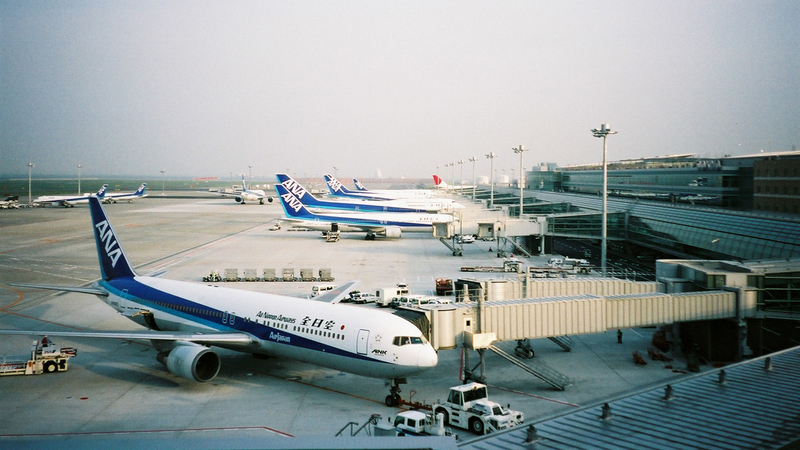 It also includes a 387 room hotel, a large retail component and 250,000 square feet of corporate office space for All Nippon Airlines. 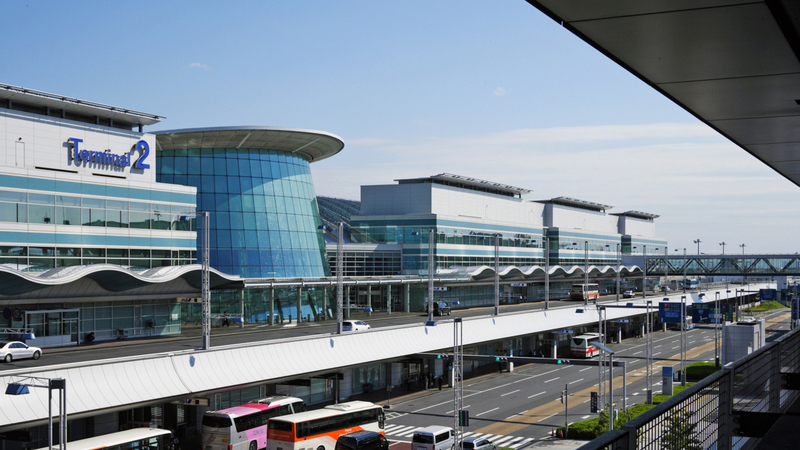 The new terminal increases the airports overall capacity to more than 60 million travelers annually, making Haneda one of Asia’s busiest airport. Its design strives to create an open and light filled environment. 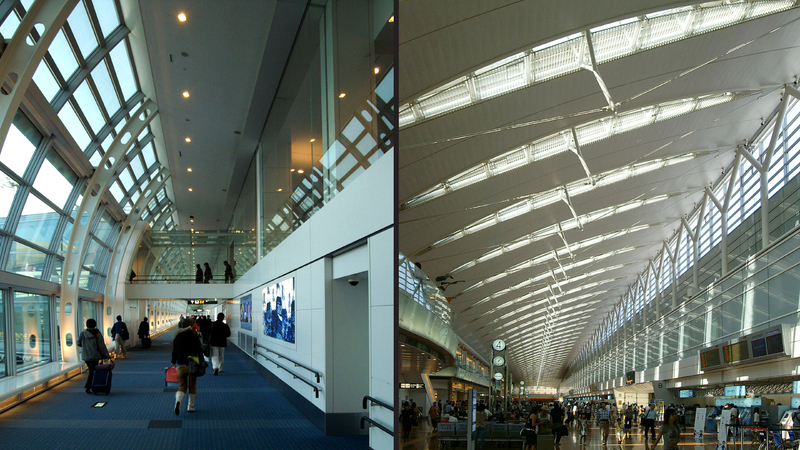 The departures concourse features a gently curving stainless steel roof that suggests the sense of flight. 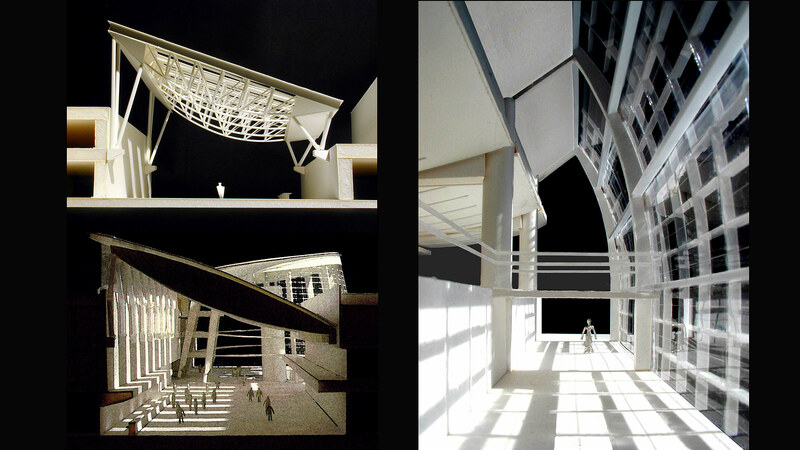 Clerestories and skylights create views to the outside and fill the concourse with natural light. The airside arrivals concourse is enclosed by a tall curved glass wall that offers passengers uninterrupted views of the airfield. 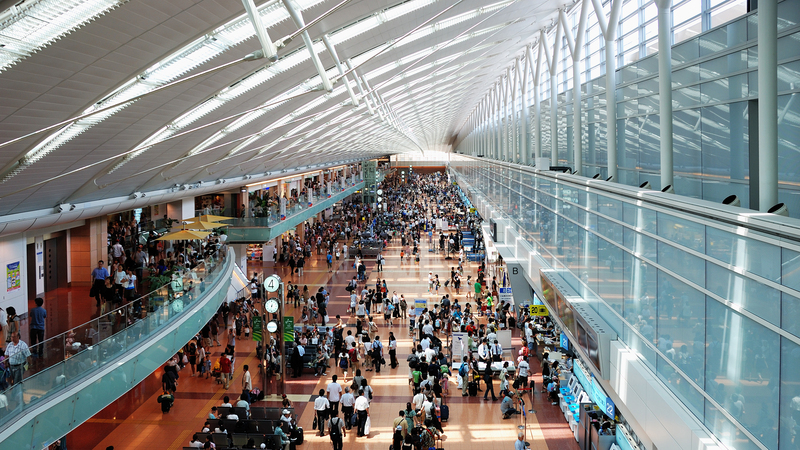 The focal point of the new terminal is a large glass rotunda that creates an iconic meeting place with shops and restaurants, and provides direct connections to trains that serve the other airport terminals and Tokyo. 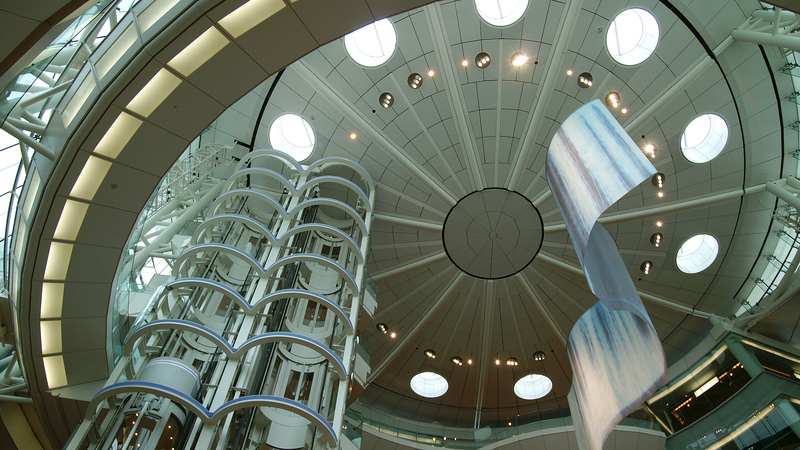 At the top of the rotunda, visitors will find an expansive roof deck with panoramic views of the airfield and Tokyo Bay. 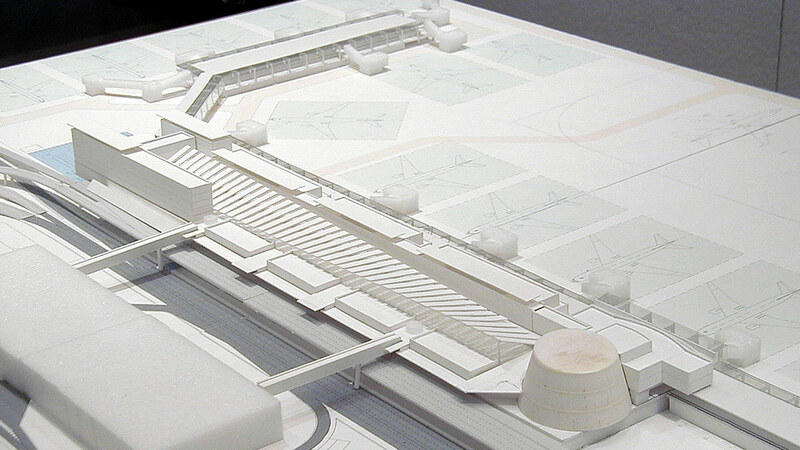 The early development of the terminal design occurred mostly in physical models beginning with the overall massing and composition. 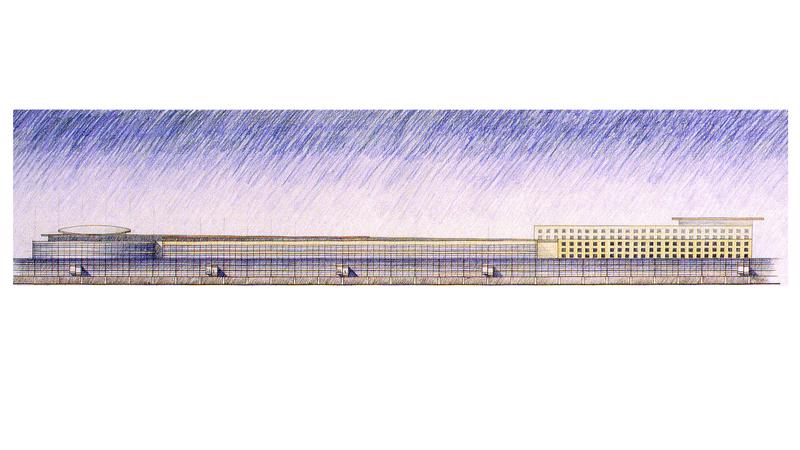 The primary components, the departures concourse, the arrivals concourse and the rotunda, were then developed at increasing larger scales in both models and drawings. 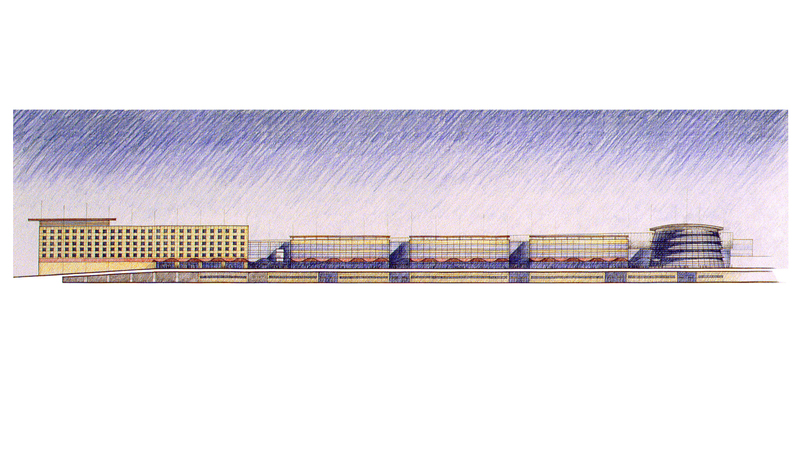 While at Pelli Clarke Pelli Architects, Isaac Campbell served as the Design Team Leader for the Schematic Design phase of this project, working closely with Principals Cesar Pelli and Fred Clarke.